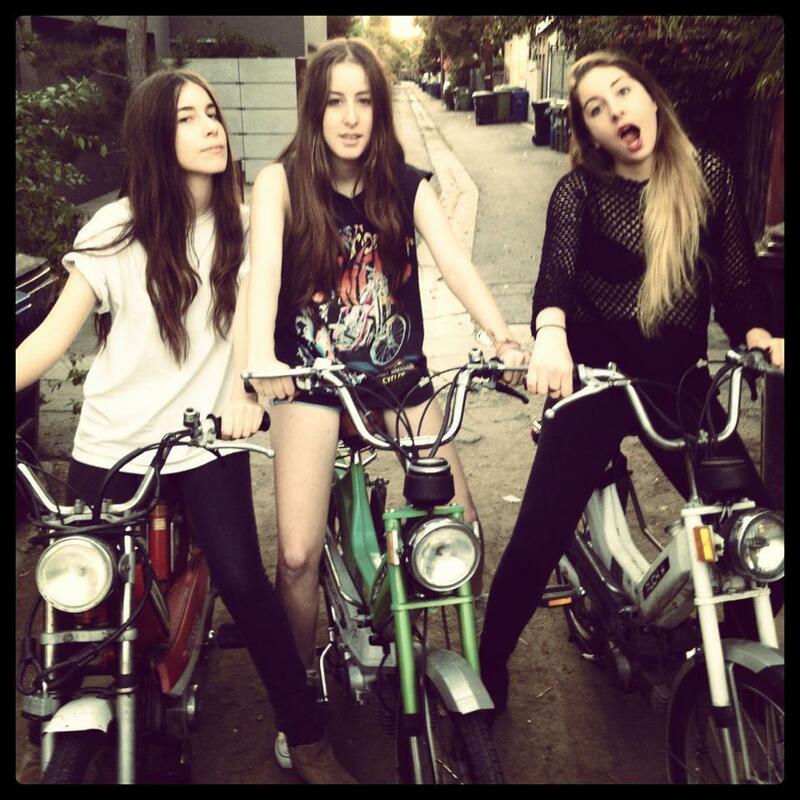 Tuesday Tunes : Crushing on Haim, artist of the month. Man this band is something to be reckoned with. I accidentally ran across them at the Florence & The Machine gig at the O2 this past winter. 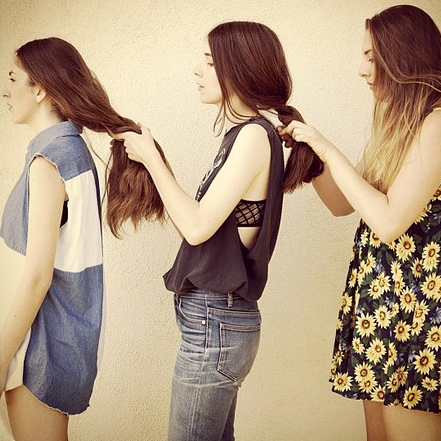 Sisters Este, Danielle and Alana are both talented individuals in their own respect but also as a unit. The relationship they held with instruments was the first thing that caught my eye and the second was how much they looked alike. Of course, I later found they were related, but their resemblance goes well beyond looks. You see it in their facial expressions while they perform so passionately live and you can tell these girls are in it for the fun as well as for their passion for the music they play. This video explained a lot for me, how they got started out, how it all roots back to their family’s love for music, how they grew up surrounded by instruments and how the band came about. My favourite part is their mom and dad talking about their offspring band-the dad is such an adorable man of what seems to be Middle Eastern decent-and I just had to chuckle at his stern, very matter of fact comments throughout. Their sound is unique, based somewhere in between classic melancholy rock and a more contemporary indie folk genre which doesn’t really exist. They are young and in my opinion redefining a genre. Their production has an old fashioned vibe if you listen to their EP, which I just proudly purchased on iTunes, called Forever. There is something very exciting about EPs as they have a fresh, unrefined touch to them and you know if you buy them you are really making a difference and helping a young blossoming artist make their way…So go check them out! These are some of their most famous music videos which I recommend you have a look at.